Sony has refuted claims that its PlayStation Home service is not a priority, by issuing a statement on the company's official website. 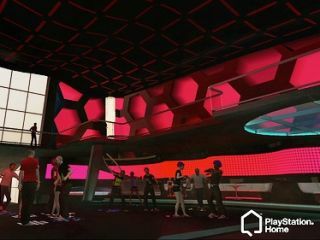 There were reports last week that Sony was distancing itself from its virtual world, PlayStation Home, with director Pete Edwards quoted as saying that the service is no longer a "priority" to Edge magazine. However, on the official US PlayStation website forum, an official Sony representative (calling themselves CydoniaX) refutes the claims, saying that: "Edwards was saying that monetising Home was not as big a priority as building a great platform, with a compelling environment and a strong community. "Home is still a top priority for Sony and will continue to release quality content and provide a positive experience to our users." Home has been available for free on the PlayStation Network since November 2008, and is meant to be a virtual online space for PSN users to meet up. The service has been criticised for its long load times, however, and the amount of hard-disk space it can nab – up to 12GB. Luckily for users, Sony also mentioned it is still committed to making the service a better experience, explaining: "We will continue working on fixing bugs, login problems, and other user issues."